We all know that Han Solo is the stroppy on in the original Star War films. This great little model of him perfectly catches that attitude. “Speak to the Han!”. Indeed!! 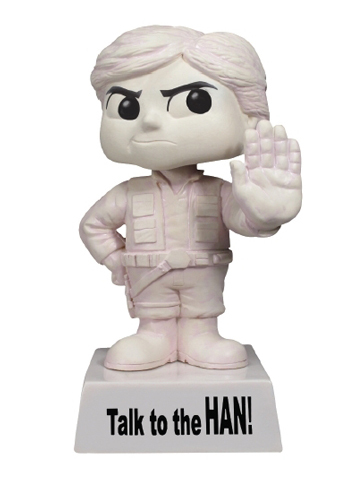 The Han Solo Wacky Wisecrack figure stands around 18 cm tall. Packed in illustrated box.